Political pundits are saying that the All Peoples Congress (APC) party may be shown the exit door from power through voter apathy if they continue failing to address the bread and butter issue that is facing the country. 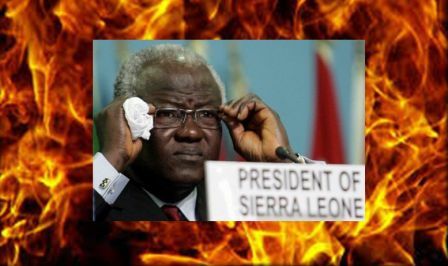 Indeed the Government of Ernest Bai Koroma has tried in addressing road infrastructure, energy, education and health among others but what the ordinary Sierra Leonean wants to see is plenty food on the table that would prevent him or her from going to bed with empty stomach. 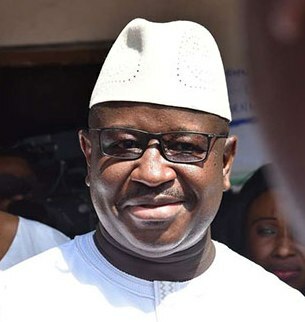 The Sierra Leone Peoples Party (SLPP) was kicked out of power in 2007 not only because the then Minister of Agriculture, Dr. Sama Mondeh failed to deliver on the promise of achieving food sufficiency but the grave mistake made by the Tejan Kabbah’s Government to convert the two ship rice sent by the former Libyan President, Late Mohammad Gadhafi to establish NASSIT. Even though NASSIT is now an institution to reckon with as it provide the required services for the intended beneficiaries but what the people needed most at that time was food on the table. As a result the people developed anger and they decided to vote overwhelmingly against the SLPP Government. So if the APC regime that is expected to have done much in addressing food insufficiency still grappling to feed the nation, they may also be removed from power. The current Minister of Agriculture Forestry and Food Security, Professor Patrick Monty Jones must use his expertise to address the issue of hunger so that he will not be classed as one of the non performing Ministers in President Koroma’s cabinet for the fact that his regime witnessed the highest increase ever in the history of this country in prices of local food commodities. ‘’We have vast and fertile lands in the country for growing edible crops but how can we cultivate large hectares of land when we are still using crude tools to do most of the difficult jobs in the farm?’’, concerned citizens queried. The problem of food shortage among Sierra Leoneans can only be laid to rest if our Government introduces mechanized farming to involve more farmers in to the process so that food can be produced abundantly and presented to the market for sale.